A world-wide first! 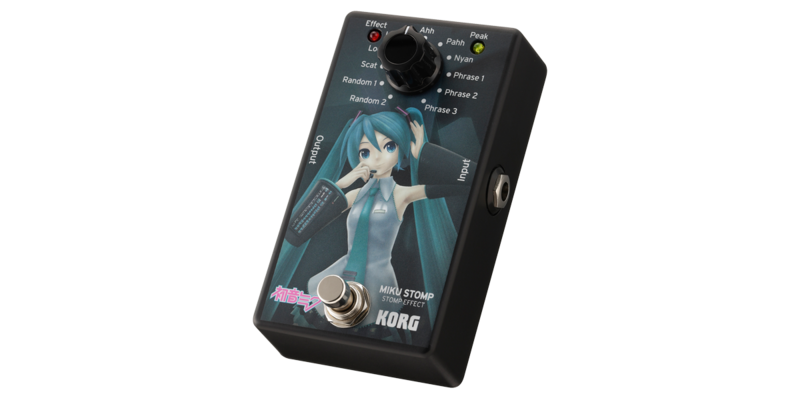 MIKU STOMP, the new voice sound effect unit. 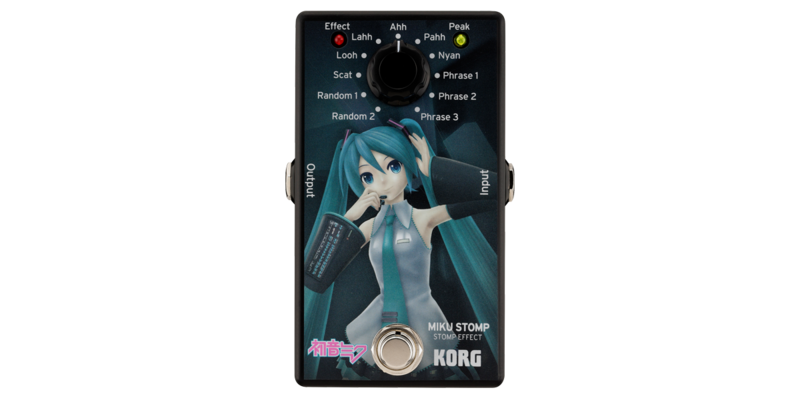 Hatsune Miku sings when you play your guitar! 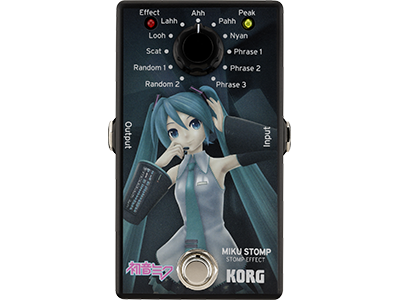 A design that fuses the worlds of Hatsune Miku and guitar effects. Nearly unlimited possibilities; 11 lyric patterns are provided. Lyrics for "Senbonzakura" (a Japanese song) are preset. 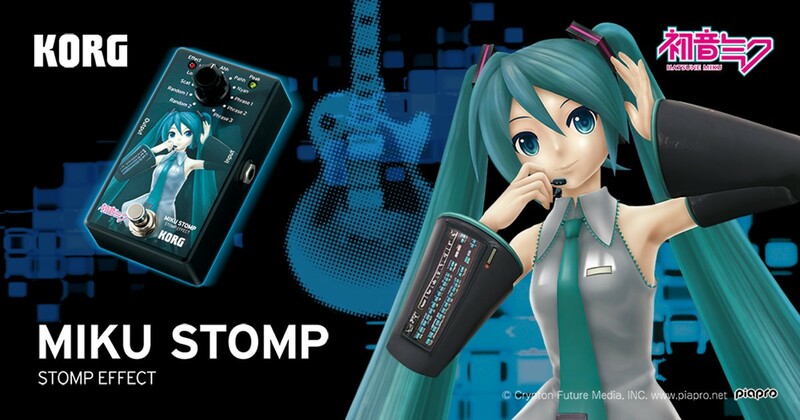 An iPhone app for entering lyrics is available, so you can make MIKU STOMP sing your original lyrics.